1. 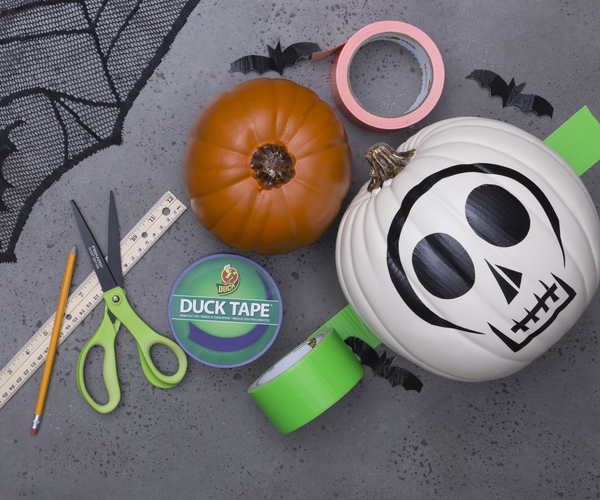 Use color duct tape to draw a friendly or spooky skeleton on a white pumpkin. 2. 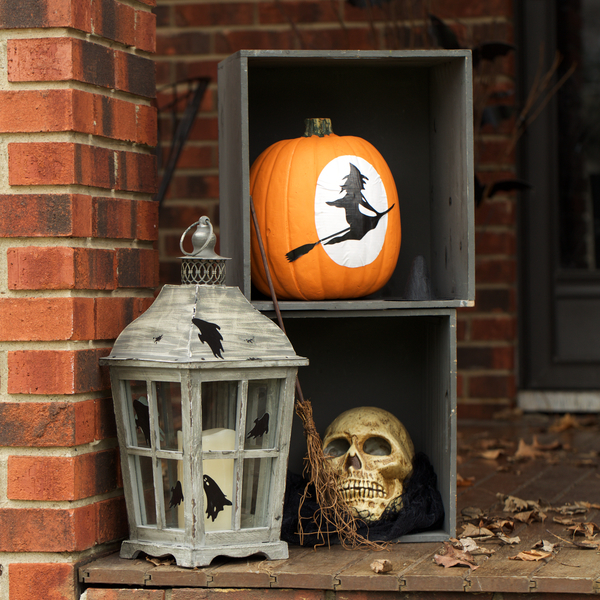 Cut out a circle and a witch silhouette on the front of a plastic or real pumpkin. 3. 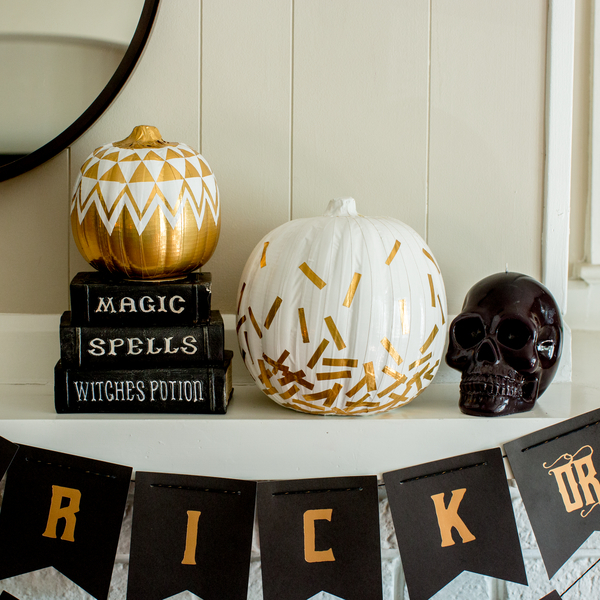 Or, create a spooky Halloween scene. 4. 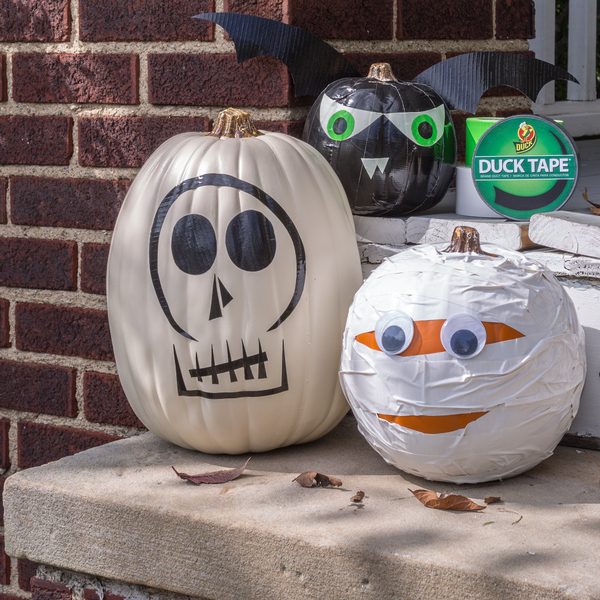 Use strips of white duct tape to make a simple mummy. 5. 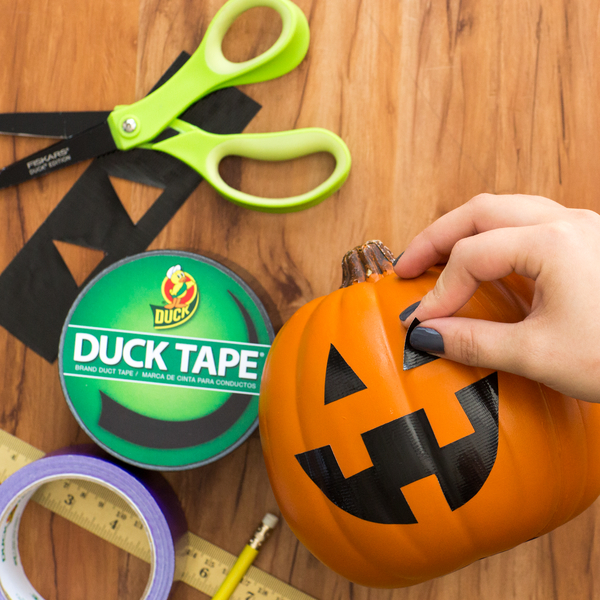 Ducklings are perfect for younger kids to use and decorate, like making simple, colorful stripes. 6. 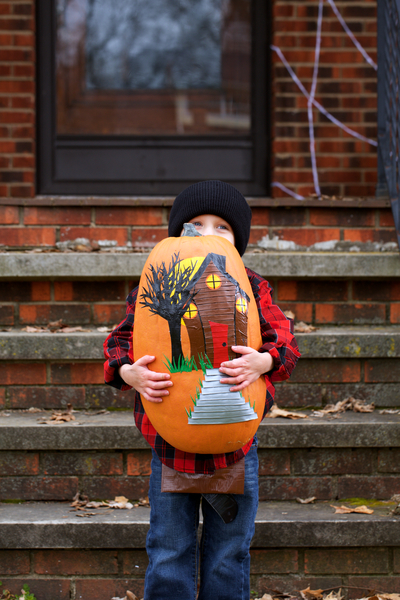 Go with a classic jack-o-lantern look. 7. Like it more simple? 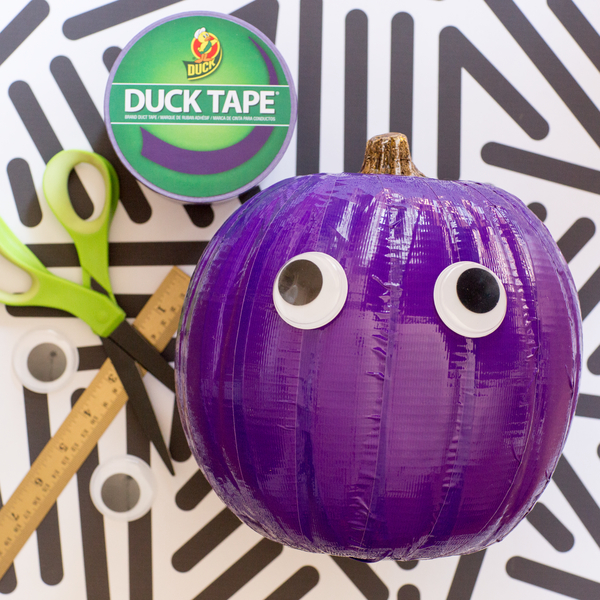 Cover a pumpkin with a solid color and add googly eyes. 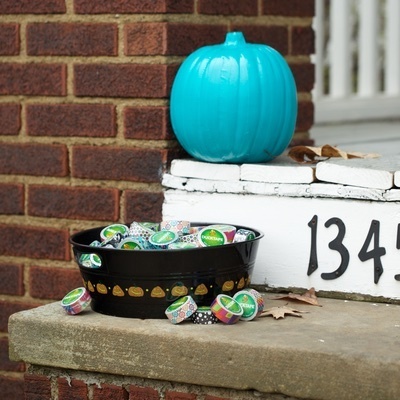 You can also make a teal pumpkin for those allergy-free trick or treaters. 8. 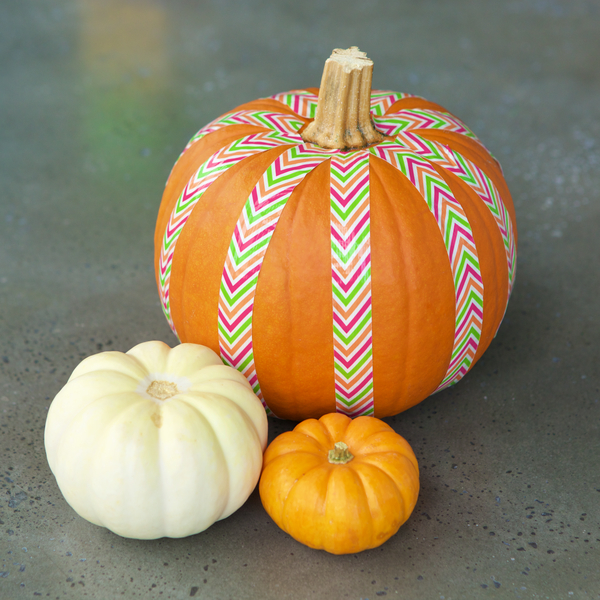 Metallic duct tape can create a more modern design for your pumpkin. 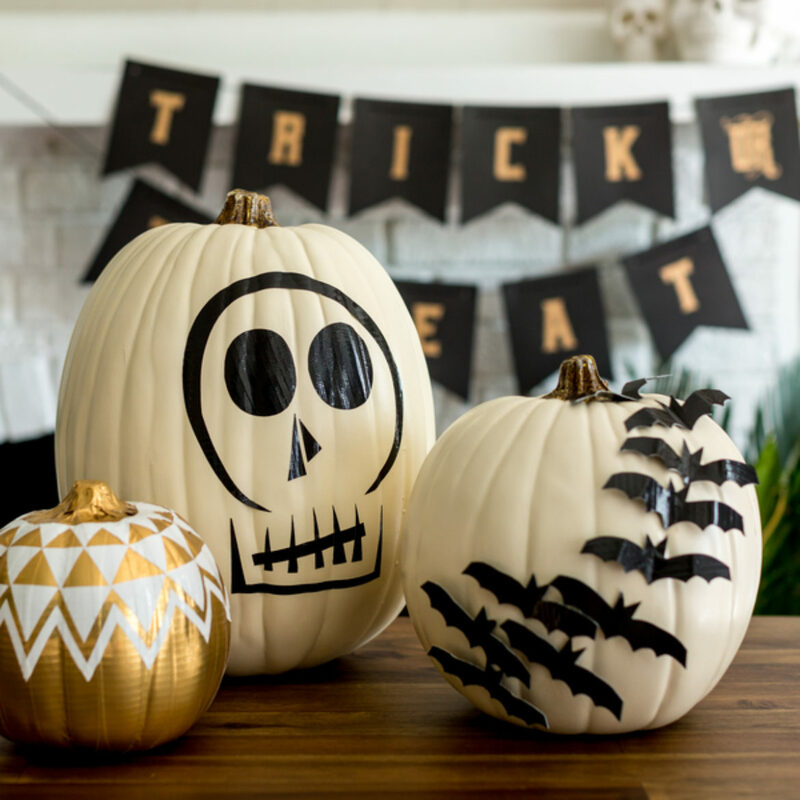 Add confetti to a white pumpkin or a gold and white pattern to a plastic pumpkin to use year after year. 9. 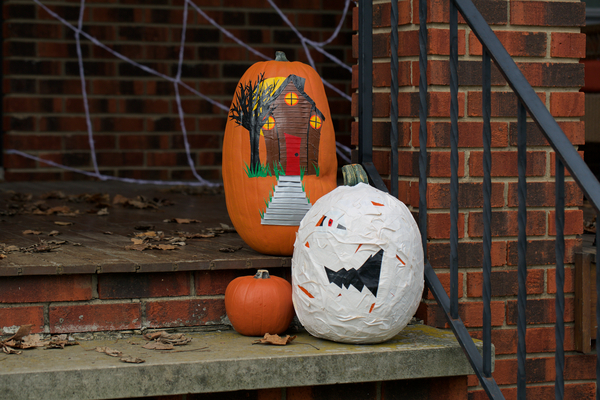 Decorate your porch or front steps with unique plastic pumpkins that won’t rot or attract unwanted guests. 10. 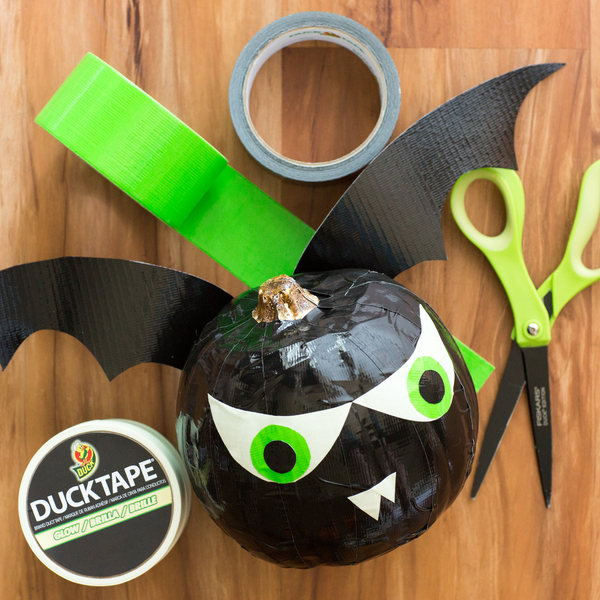 Add wings to a smaller pumpkin to make a glow-in-the-dark bat.